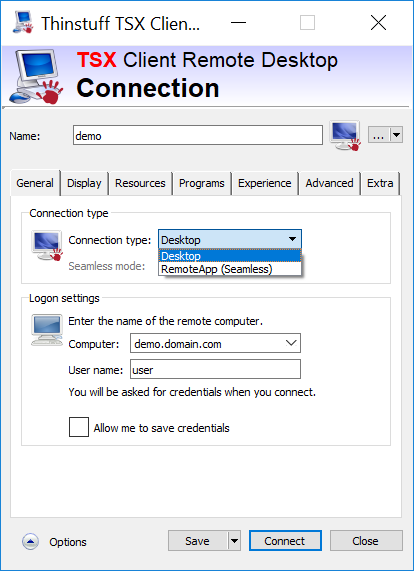 The best alternative remote desktop client for Windows. Thinstuff TSX Client is a remote desktop client for Microsoft Windows computers using the RDP protocol. It offers additional functions compared to Microsoft's RDP Client e.g. choosing which connection type (desktop connection or seamless application mode) you want to make. 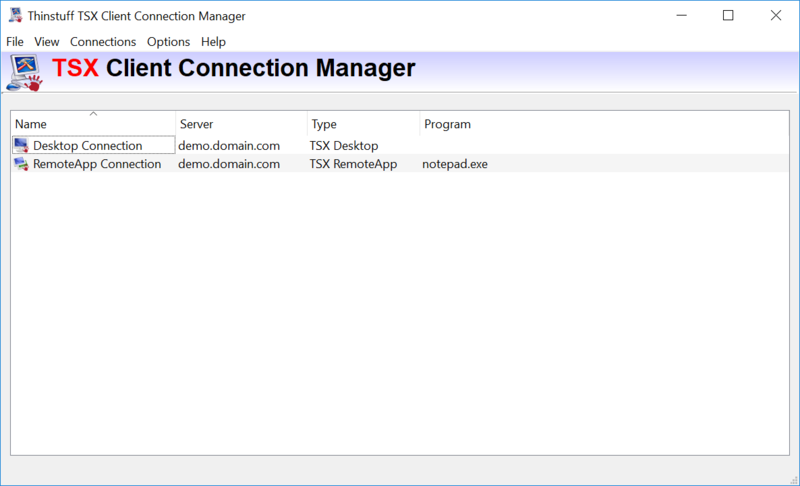 Unfortunately the current Remote Desktop Connection clients from Microsoft do not have a user interface to specify a RemoteApp. Well, TSX Client does! It's easy to use and available for free.